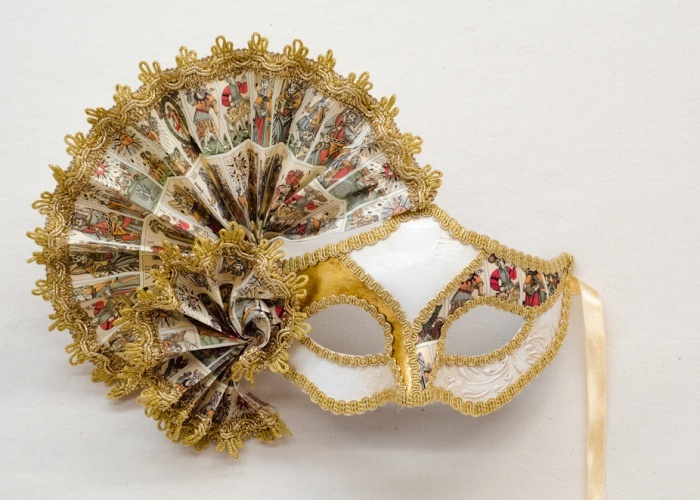 This authentic cartapesta mask is decorated with two handmade Florentine paper fans. The decorative motif feature Italian tarot cards. Stucco and gold leaf together give the final touch to this excellent Venetian mask.